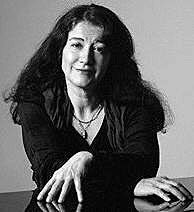 "Pianist Martha Argerich has withdrawn performances of Beethoven’s Piano Concerto No. 1 on this week’s Boston Symphony Orchestra program with Charles Dutoit due to physical exhaustion. On her doctor’s orders, she will return home to Europe. Pianist Yuja Wang will replace Ms. Argerich on the March 8-13 program, performing Tchaikovsky’s Piano Concerto No. 1, which received its world premiere in Boston in October 1875 and is the most famous of the composer’s three piano concertos. Chinese pianist Yuja Wang made her debut last season with the National Arts Centre Orchestra in Ottawa, replacing Radu Lupu in Beethoven’s Piano Concerto No. 4. She was immediate re-engaged to perform Chopin’s Piano Concerto No. 1 last June. She also performed last season with the Baltimore Symphony Orchestra, China Philharmonic, and New Jersey Symphony Orchestra. While in China, Ms. Wang gave recitals in Beijing, Zhuhai, Shijzhuang, Harbin, and Umuqi. She attends the Curtis Institute of Music in Philadelphia and was named a recipient of the 2006 Gilmore Young Artist award. This season includes a tour of the Netherlands with the St. Petersburg Philharmonic, as well as debuts with the New York Philharmonic, the Houston, Chicago, and San Francisco symphonies, and the NHK Symphony Orchestra. This is also Ms. Wang’s BSO debut."